And if you need a little encouragement, check out Lisa's fabulous drinks with reads post. It's fabulous. Who doesn't love a little retro Disney? 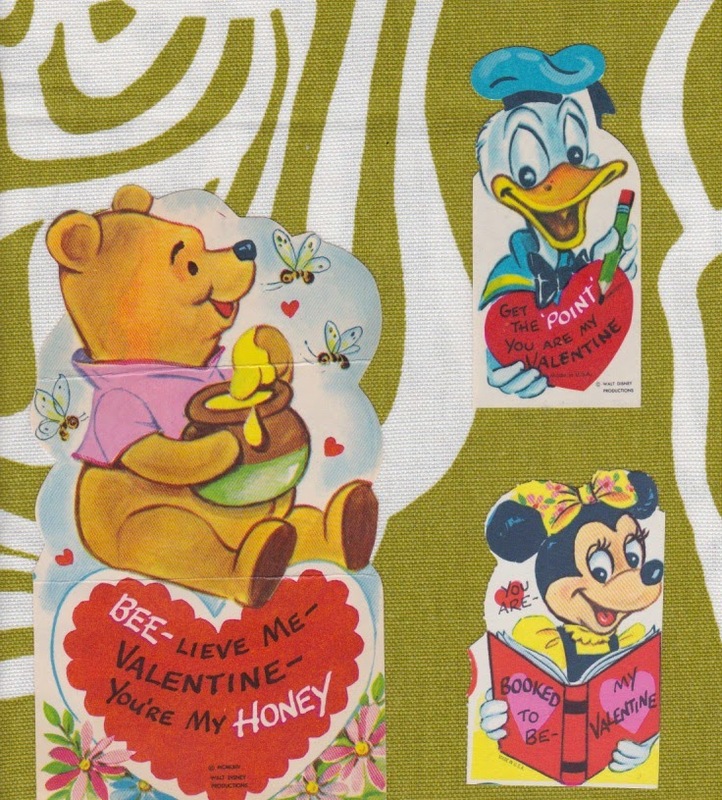 Normally I’m more likely to celebrate anti-Valentine’s Day with my fellow contrarians and scoff at February 14th as yet another Hallmark holiday. Yet, last month I felt a yearning, a yearning for snail mail. Remember the good old days when we received letters in the mail, hand-written with cross-outs and pen smudges? For years, I’ve dreamed of reviving the art of the written letter. Since I don’t have time to write letters (sadly – life is over-crazy most of the time, isn’t it? ), I parlayed my yearning into a Valentine’s celebration. Yes, A Valentine’s Day Revival! 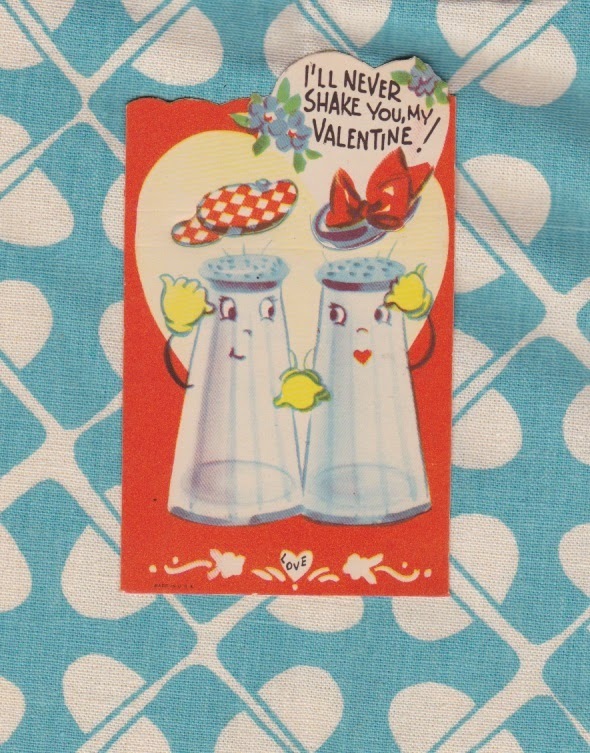 It helps that I adore retro Valentines and have fond memories of the cute cards we exchanged in grade school. On Facebook, I asked (maybe begged a little) friends to join me in my revival. Before I knew it, I found myself setting up a private event so a gang of us could exchange addresses. Many of the participants didn’t know each other, yet now dozens of Valentine’s cards are criss-crossing the country. I’ve started to receive my cards, and I’m amazed by the variety and creativity I’m seeing. 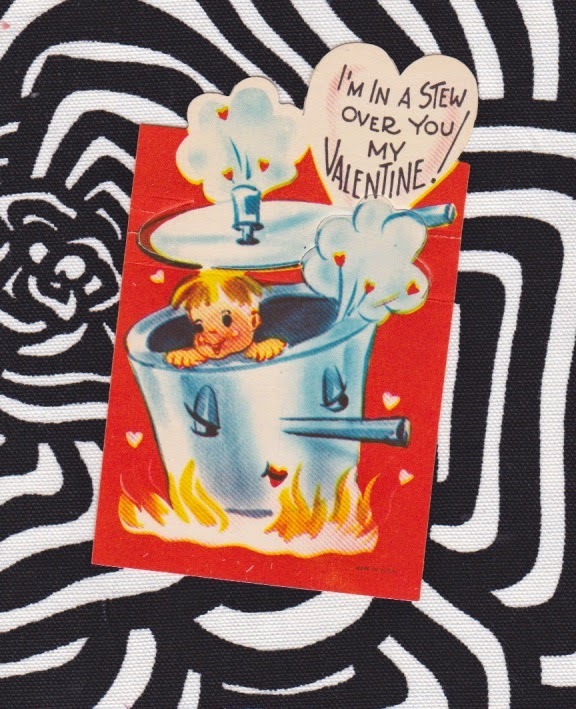 I’ve received a snail mail manifesto, puffy stickers, handmade cards, and bonafide children’s Valentines from the 60s/70s. Our Mystery Playground hostess Deborah sent cards signed by long-ago kiddies. The cards I bought are available though laughingelephant.com. One participant printed retro cards off Instagram. Deborah and others found cards at antique shops. Whether handmade or retro or vintage or modern, it’s all good. So let me urge everyone to join the revival. It’s not too late. Happy Valentine’s Day! Lisa Alber is the author of KILMOON, a mystery set in Ireland that features a matchmaker with a dark past (who would love a Valentine’s revival! ), his long-lost daughter, and a conflicted detective. RT Book Reviews says “utterly poetic.” Kilmoon is a Left Coast Crime Rosebud Award finalist for best debut novel. Visit Lisa at www.lisaalber.com. She blogs at Lisa Alber’s Words at Play. Also visit her on Facebook and Twitter. Lisa - this whole exchange has been really fun. Thanks for a great idea and a great post. This was fun!! Thanks for the idea.